New Home Warranty is an important topic for those people considering buying new homes through a builder. For buyers of new homes, there are two different new home warranties programs available. There is the National Home Warranty (NWH) and the Alberta New Home Warranty Program (ANHWP). There are also two ways to get protection through these programs. The builder chooses to be part of a program and is offering it to you at his cost (roughly about 80% of the builders) is one. The other option is you choose to purchase a new home warranty program yourself. Not all builders will provide you with a new home warranty (NWH or ANHWP) other than their own warranties. This is not necessarily a bad thing or ‘red flag’. Amongst builders there is much debate about the content of these warranties. 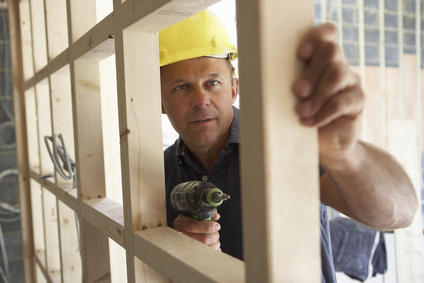 Many builders feel a warranty program gives a false sense of security. This is the reason they are not willing to pay to offer a program to their buyers. On the other hand, buyers have a hard time understanding why a builder would not put such a program in place. Things are about to change in the world of the new homes warranty. The Alberta government has tabled a bill (and the meanwhile it passed on November 20, 2012), the New Home Buyer Protection Act. It will make it mandatory for new home builders to provide a 5 year home warranty for the home envelope effective in the fall of 2013. This will definitely create more uniformity in new home purchases. It will also create more ease of mind for consumers, who may be concerned with why certain builders provide a home warranty and others don’t. It will however not stop the debate about the content of these home warranty programs. I will have a post on this topic soon as well. For more information regarding the new homes warranty, contact us anytime here or give us a call or send us an email at info@thevteam.ca, anytime!